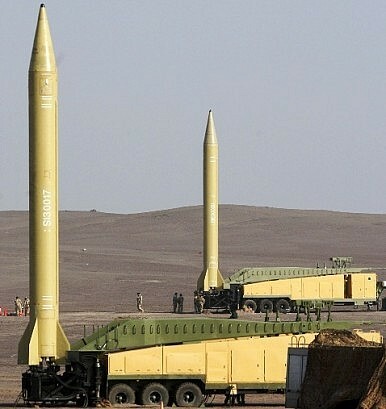 The Iranian military successfully tested two new indigenous long-range missiles. The Iranian military successfully tested two new indigenous long-range missiles, including a surface-to-surface missile and an air-to-surface missile, according to its defense minister. The tests come ahead of renewed talks between the P5+1 group of nations and Iran on a permanent deal to curb the latter’s nuclear program. The talks are scheduled to take place in Vienna beginning February 18. Iran and the P5+1 concluded an interim deal in November which was implemented in late January 2014 and is currently ongoing. Assertions from Iranian military commanders and officials generally exaggerate its military capabilities. Likely Iranian targets in the region – namely Israel and U.S. bases in the Middle East – were already covered by Iran’s existing arsenal of Shabab 3 and Ghadir missiles. The previous generation of long-range Iranian surface-to-surface missiles had a range of up to 2,000 km. According to Reuters, “the decision to carry out the test may be a sign of Iran’s political infighting.” Iranian President Hassan Rouhani has faced criticism from hardline and conservative Iranian lawmakers for easing up on military displays; he allegedly initially opted to cancel this very exercise but later acquiesced under pressure from lawmakers. In response to the tests, a U.S. Defense Department spokesman Admiral John Kirby said “Iran’s missile program continues to pose a dangerous threat to region, and is an issue we monitor closely.” The Pentagon spokesman also highlighted Iran’s obligations under U.N. Security Council Resolution 1929. Under that resolution, Iran is prohibited from pursuing the development of missiles or missile technology that could be used for the delivery of nuclear weapons. The missile tests come a day after a senior Iranian naval officer said that Iran would send its warships toward U.S. maritime borders. “Iran’s military fleet is approaching the United States’ maritime borders, and this move has a message,” according to Admiral Afshin Rezayee Haddad. U.S. officials said the announcement did not carry much weight and was essentially an empty threat. “It’s important to understand that, at this point, we have an announcement not a deployment. They’ve stated this aspiration before,” said one anonymous U.S. defense official. Taken together, these incidents highlight a lack of domestic consensus within the Islamic republic on how it should present itself to the world. While Iran remains engaged in high-stakes negotiations with world powers, it continues to give the United States and regional rivals reasons to remain vigilant. So far, P5+1 nuclear negotiators haven’t commented or linked these tests and other military displays to the progress of the nuclear talks. This could change in the future. Trump did not announce any Iranian material violations of the 2015 nuclear accord.